Whenever my kids bring home treats from school, I wonder where they come from. Halloween inspired to make these fun Halloween printable treat labels for the kids to print and put their name on. Then parents know who made the treats or provided them, should have they questions, smart right? You can use these cutie printable tags for your Halloween goodies. These will print on Avery 8160 labels(or regular paper) there are 6 different ones. I made them so you can type your childs name. This will allow all those goodies that come home, the parents will know who they came from. These are cute, and they look easy to make! Wow…Fall is coming so fast this year! They should be super easy, All you need to do is type the name and print! You are welcome Pepper. I always like to know where homemade treats come from. That’s so cute! And oh my gosh, it’s almost time for halloween!! I can’t believe Halloween is coming up so fast either! It’s busy busy once school starts it seems. I’ve never thought of that! Of course we’d all feel better knowing where those bags of homemade cookies came from. I feel so bad for the people that put that kind of effort into making a homemade treat for the trick or treaters. I know I never let my kids eat them. So if it were a friend from school, and they were labeled, it would definitely provide some peace of mind! Great idea! That is exactly why I make them Nicole. I don’t like my kids bringing home homemade snacks and not knowing where they came from. I usually toss them if they cant’ tell me who gave it to them. I think if more moms did something like this, it would ease mom’s like me. How cute! I can’t believe Halloween is just around the corner! BOO! I can understand Karen. For us it means snow will be here soon. Good bye flip flops. I agree – thanks for sharing! So many creative ideas from people today. I’m going to use these! I make all kinds of Halloween goodies for my gluten-free clients and am always looking for ways to doll them up (because they don’t, yet, look as pretty as the normal ones)…. Maybe these are just the ticket! This is such a great idea. I need one for Christmas too. I have to say though I am really excited for the kids to go back to school. Mommy needs a break. Thanks very much for sharing; these are just what I was looking for! You are welcome Heather! Thanks for the reminder too, I need to print these out for my kids too! These are so cute! Great idea to label the treats. That is a super cute idea, since my daughter is getting older Halloween parties are what she now looks forward too (this will be the last year she trick or treats) these are perfect for her slumber party Halloween parties! Now that my son is in Kindergarten, labels have become my very close friends. 🙂 Happy Halloween! Good idea! I like knowing who gave my kids special treats and this is a great way. Awesome! I love cool free printables :)You did a great job on them. 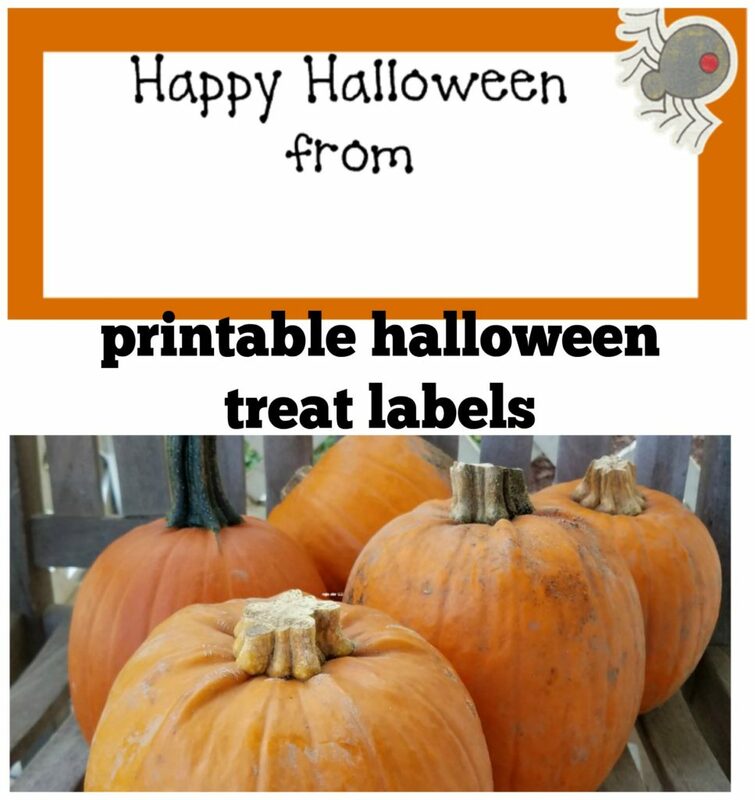 Thank you so much for sharing the Happy Halloween labels – they are perfect!!! Just came across these. Loved them. They are perfect for trick or treat gift bags! Definitely work for treat bags!